About us ‹ A.I.A. sh.p.k. A.I.A Ltd is the first choice in terms of the construction sector, the right choice for the realization of projects and constructions safe, comfortable and modern. Founded in 2007 by a visionary construction engineering Ardian Lloshi, A.I.A Ltd was incorporated in a department rattling constructions and supervision, adapting to the requirements of its customers. Our works are numerous and varied, based on the experience of the best professionals in the field to transform the building into a more effective process. Integrity – A.I.A Ltd provides business ethics in the highest degree of its presence in the affairs of our company, respecting each application, ethics, customer value and our partners. On a more serious approach to perfection as structures and construction projects A.I.A Ltd fulfills the highest standards of engineering and construction supervision. Quality – the main factor of the construction industry is the quality of service and all materials that are implemented in the construction of apartments, residences and any project of construction. Performance and reliability that our company follows all the projects embodied in A.I.A Ltd implements. Safety – The cornerstone of the construction sector is in structural safety. 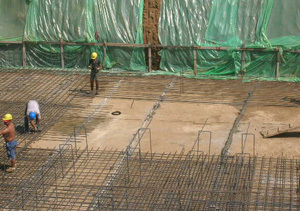 A.I.A Ltd focuses its work on the safety of all construction and environmental construction. Materials are selected and passed many quality filters to meet all safety standards required by our customers.